Eventually, pics of my 323ci..
Rockstars get up at the crack of noon.. Points: 127 Topic: Eventually, pics of my 323ci.. I promised these soon after I got the car, but never got around to it. At the end of the day, it's just another 323! But here you go! That is a very nice car, just another 323 !!!!! c'mon look at it ! Every BM is different in some way or another, like yours Carroll, say where did those alloys come from, they don't look standard ? The alloys came wth the motor. 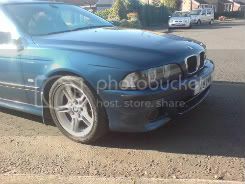 I haven't seen them on another e46, but I think I saw very similar ones on a new 5 series, but I can't quite remember. they're lovely wheels....can I have them? seriously, are they BMW wheels or another supplier? 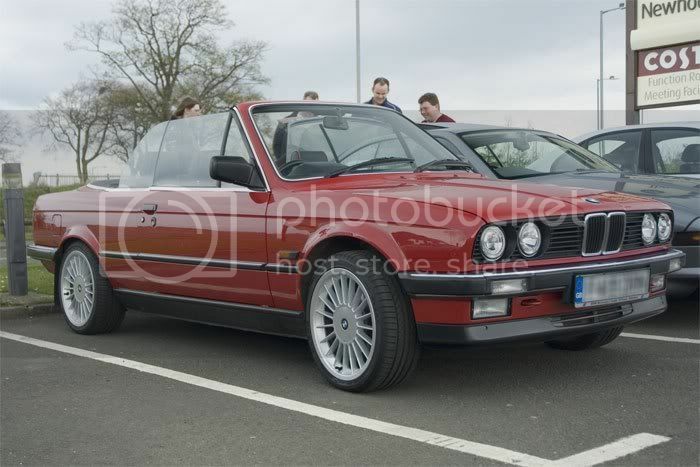 Are they the style that were on Ian H's last 330ci? Looking at the options brochure for the 1 series & they have a set of 18"s I thought were the nicest BMW wheels in a while. They're on the front cover.. 8 spoke ... forgot the name - "something something 180". I'd love them on mine. Topazman, are you talking about the rims on mine being the V spoke? Mine are 17". Yup I was, I quoted the wrong type they are instead Style 79 Double spoke rims 17"